Be Peaceful My Country, Be United My Nation, Be Prosperous My People. This is a phrase heard around Indonesia that Pondok Kasih lives by. Pondok Kasih means "House of Love" when translated to English. The organization has Christian convictions, and believes strongly that the power of love overpowers religious divides. It works closely with many other organizations of religious differences, including many Muslim organizations, as the majority of the Indonesian population practices Islam. 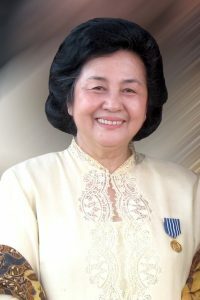 Dr. Hana Amalia Vandayani Ananda, the founder of the organization, started by ministering to a beggar who stood in front of her church one day. Feeling convicted by Ezekiel 33:6, Mama Hana befriended the woman and brought her into the church. The beggar's name was Ruth, and Mama Hana loaned her money for her to rent a home. Mama Hana’s heart was transformed with a burning desire to help the poor. Ever since the first house that was provided for Ruth, Pondok Kasih has provided homes for people rejected by society. In coming across people with various needs and desires, Mama Hana has created homes for the elderly, orphans, recovering drug addicts, prostitutes, and others who are considered unlovable by the rest of society. In addition to providing physical homes, Pondok Kasih also provides spiritual homes for people to come worship and hear teaching from God’s word. Recognizing a need to have a place where those who are even rejected by the church can come to worship, Mama Hana began a large weekly meeting, in a sports stadium known as Gelora. Each week, over 3000 slum residents come to Gelora and are encouraged through worship, teaching, and food distribution. Throughout the years, Pondok Kasih has expanded to include orphanages, drug rehabilitation centers, training and education centers, medical clinics, convalescent homes, water filters for individual families in small villages, and countless other programs. Presently the ministry has worked with more than 150 slum communities of Surabaya, cities, and provinces of Indonesia.